A Discussion you won't want to miss on the latest trends in hearing healthcare with a licensed professional. Call (864) 412 2594 today as seats are limited! 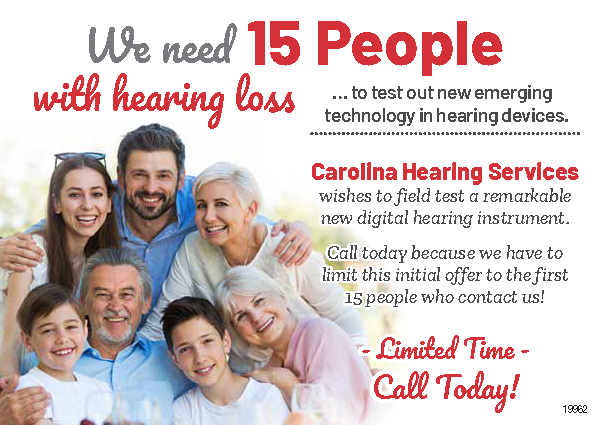 Wanted: We are looking for 15 people with hearing loss to test out new emerging technology in hearing devices. We wish to field test a remarkable new digital hearing instrument. Call any of our locations today because we have to limit this initial offer to the first 15 people who contact us!